Jutting out into the southern Baltic sea, Pomerania in Poland is famous for its large swathes of forests, dotted with lakes and meandering rivers. In autumn, the varied patches of forest come out in a riot of colours, their leaves drying at different rates and exposing the thick undergrowth and waterways. Flying from paragliders and geoplanes, aerial photographer Kacper Kowalski has been photographing this region from the air for years. 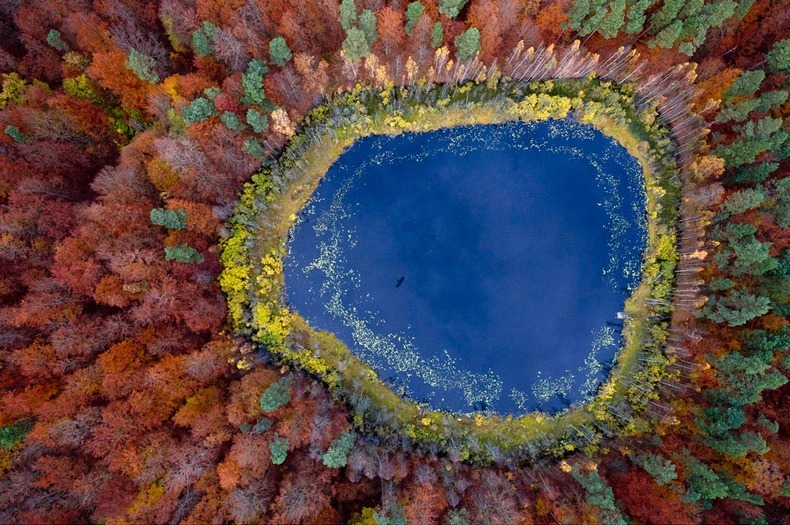 Kowalski’s magnificent pictures show nature's beauty as it changes through the year.